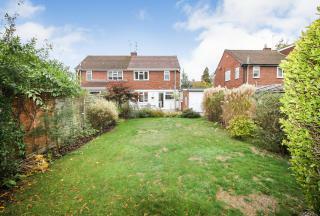 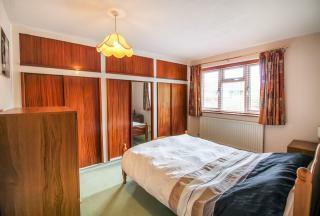 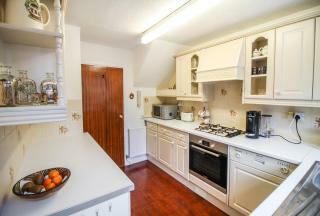 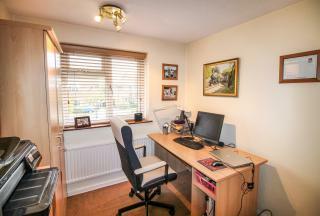 In a popular area close to local amenities, schools, and road links is this well looked after family home. Offered with no onward chain the property can be extended, (stpp), and also benefits from having replacement double glazing, boiler, and bathroom in recent times. 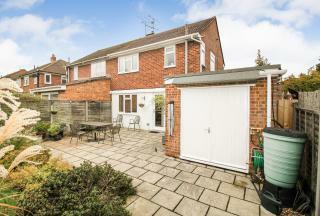 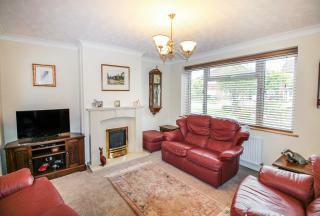 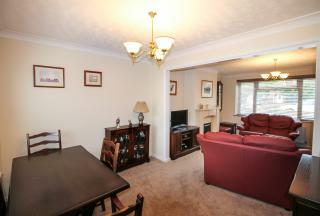 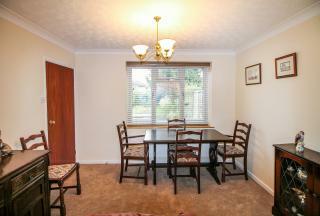 Other benefits include light and well-proportioned living space, lovely garden, double length garage, and driveway. 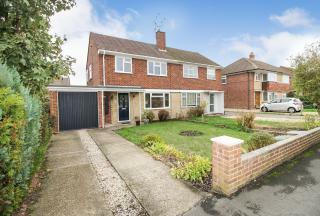 Upon entering you will be greeted by the entrance hall which has doors to the living space, kitchen, handy storage cupboard, and stairs to first floor. The main living space is a light and well proportioned room offering plenty of space for settees along with other furniture and also having a feature gas fire. 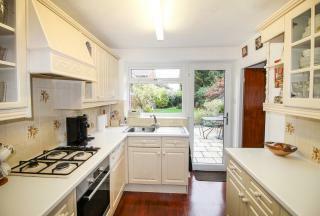 The dining space is open onto the living space, and works well being sociable, light, and ideal for family and day to day living. The dining space offers ample room for a dining table, other furniture and can be used combined as a dining space and childs play area. The kitchen is well equipped with a range of eye and base level storage units, work surface area, along with having a built in gas hob, oven, fridge, and dishwasher. 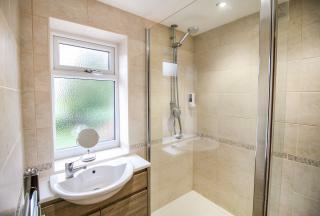 On the first floor you will find the three bedrooms and bathroom. 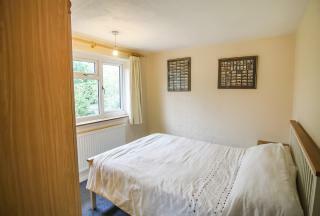 Both bedrooms one and two are doubles with the third being a good single. Bedroom one also has the benefit of built in wardrobes. 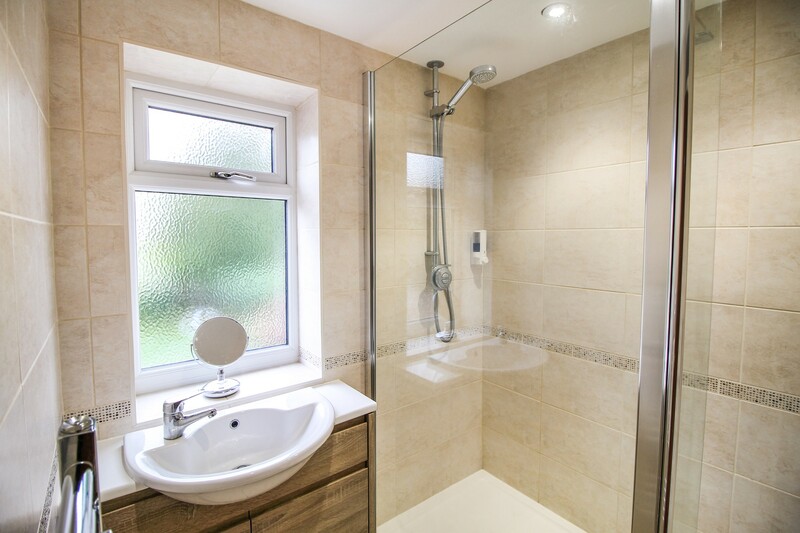 The re-fitted bathroom and wc is fully tiled and fitted with a walk in shower cubicle, with Aqualisa power shower, glass screen, and heated towel rail. 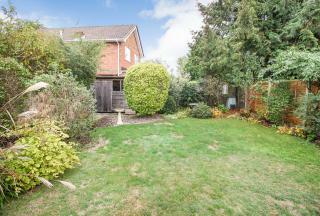 Outside you will find the pleasant rear garden, being private and enclosed. 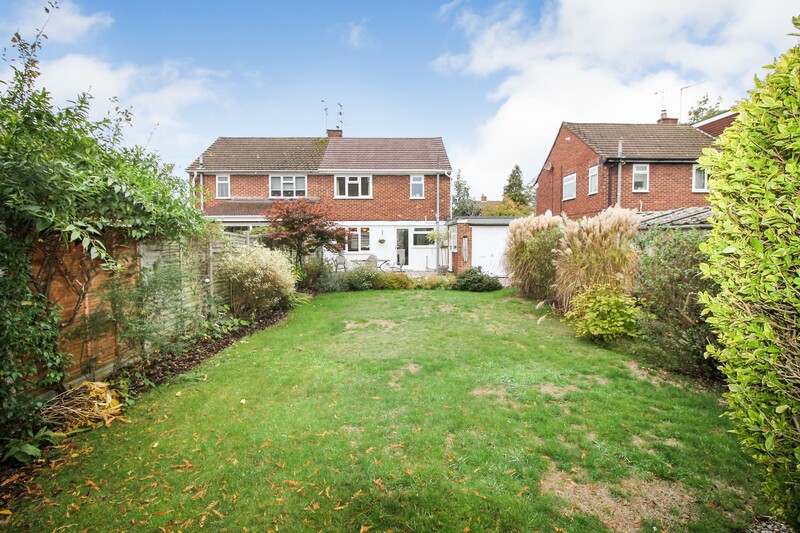 With an initial patio area there is then a large lawn beyond and range of mature borders. 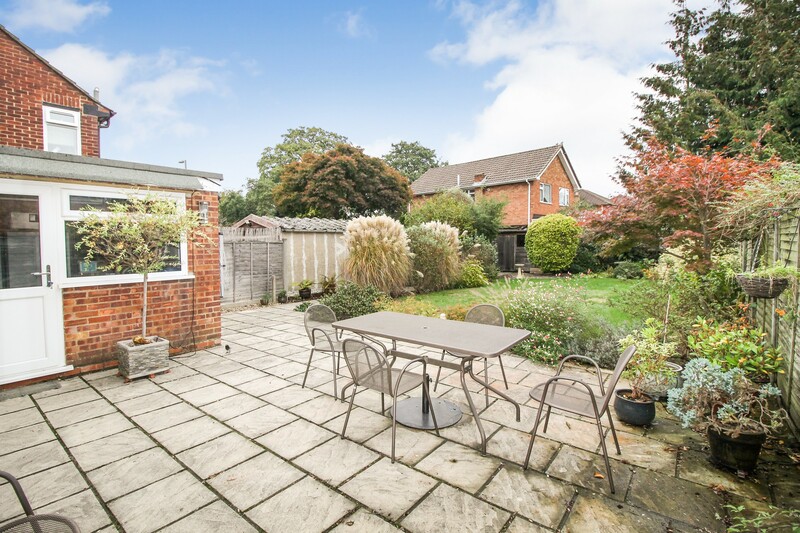 To the bottom of the garden is the shed offering storage. 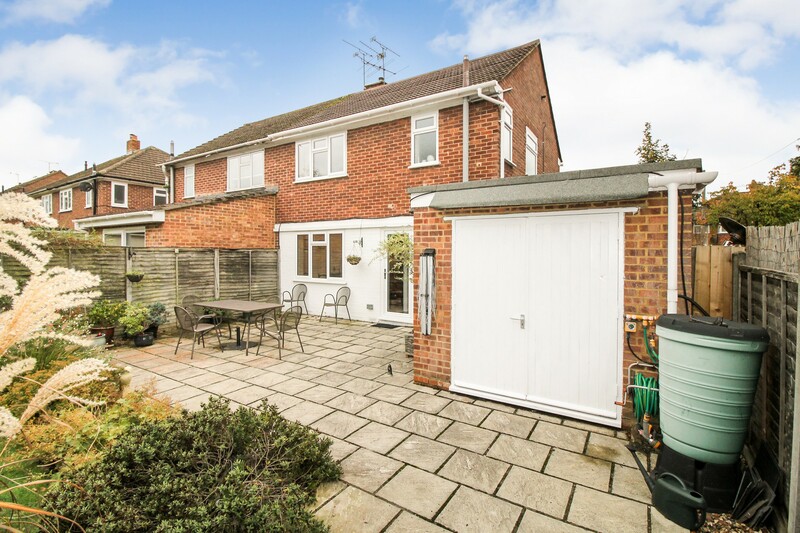 To the rear of the garage there are double doors, along with a side door leading in, with the garage being home to further appliances, and having full power and light. To the front you will find your driveway.